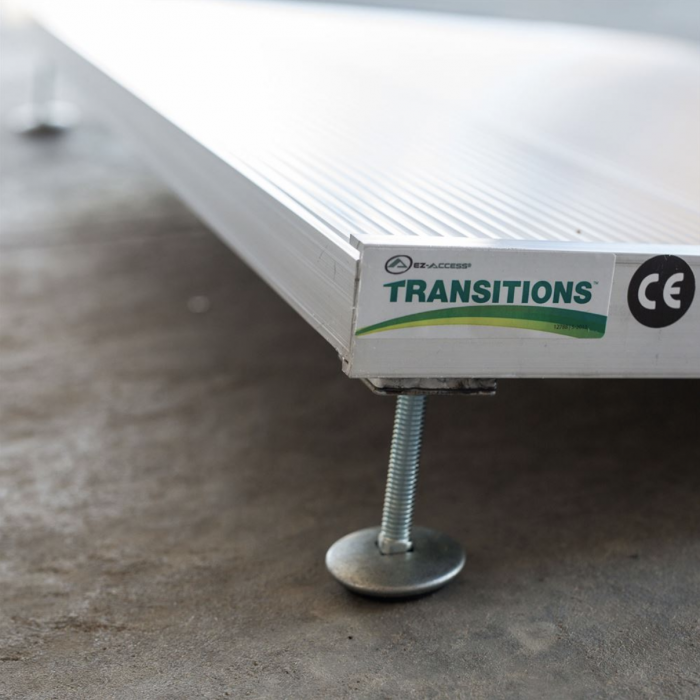 The Adjustable Threshold Ramp-Transitions by EZ Access is a portable, stand-alone threshold ramp featuring independently adjustable legs with swivel feet, allowing for vertical adjustment ranging from 1-3/8 to 5-7/8 inches in height. 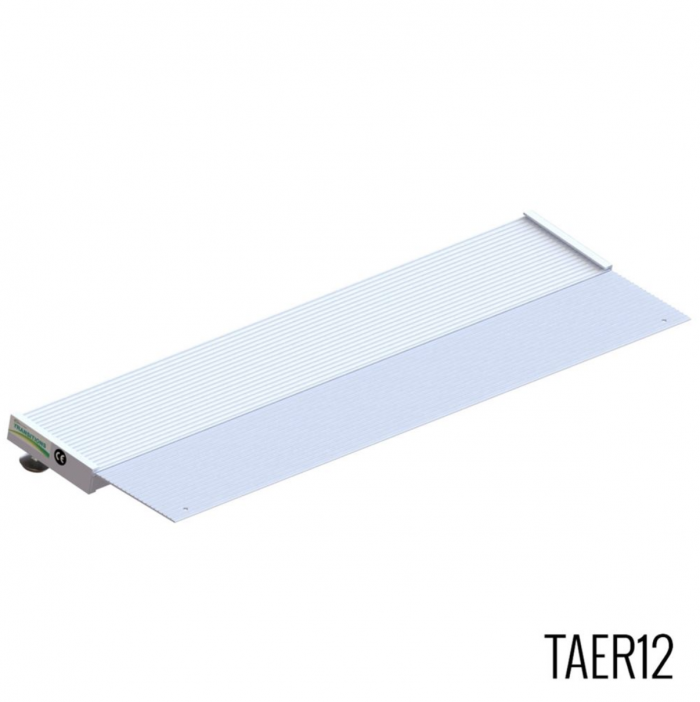 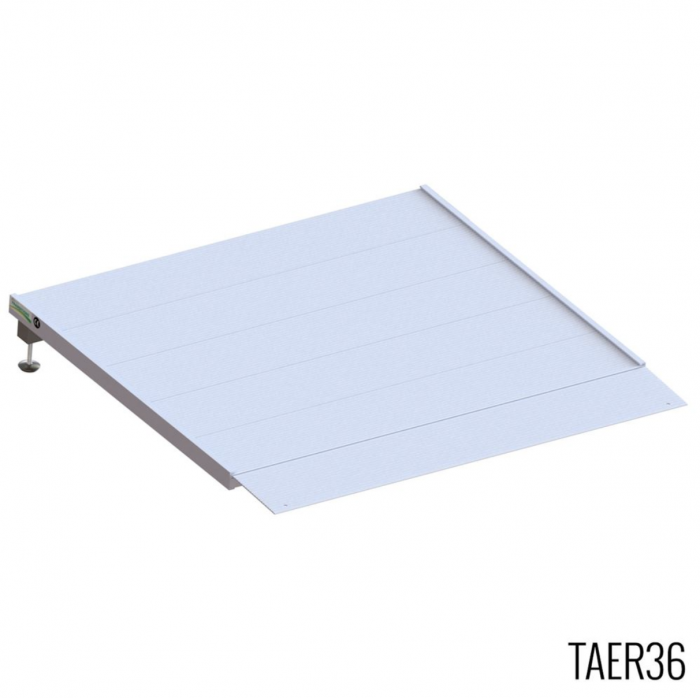 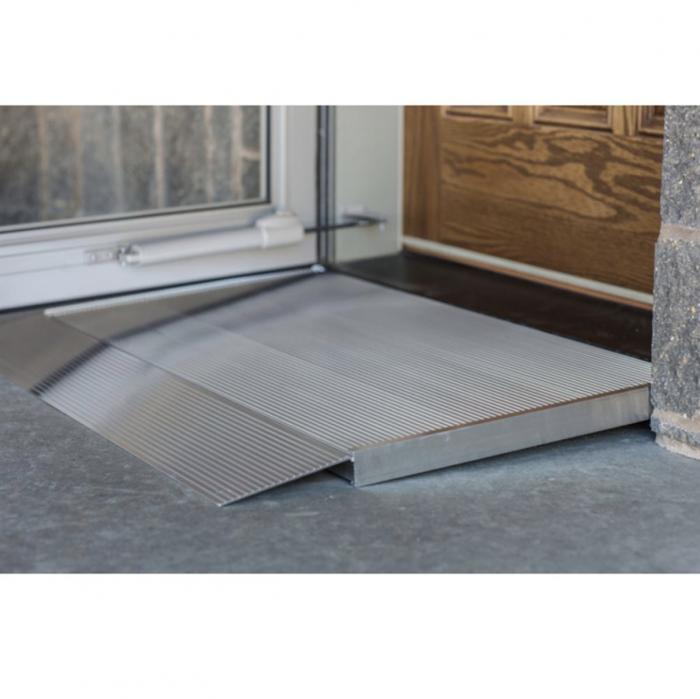 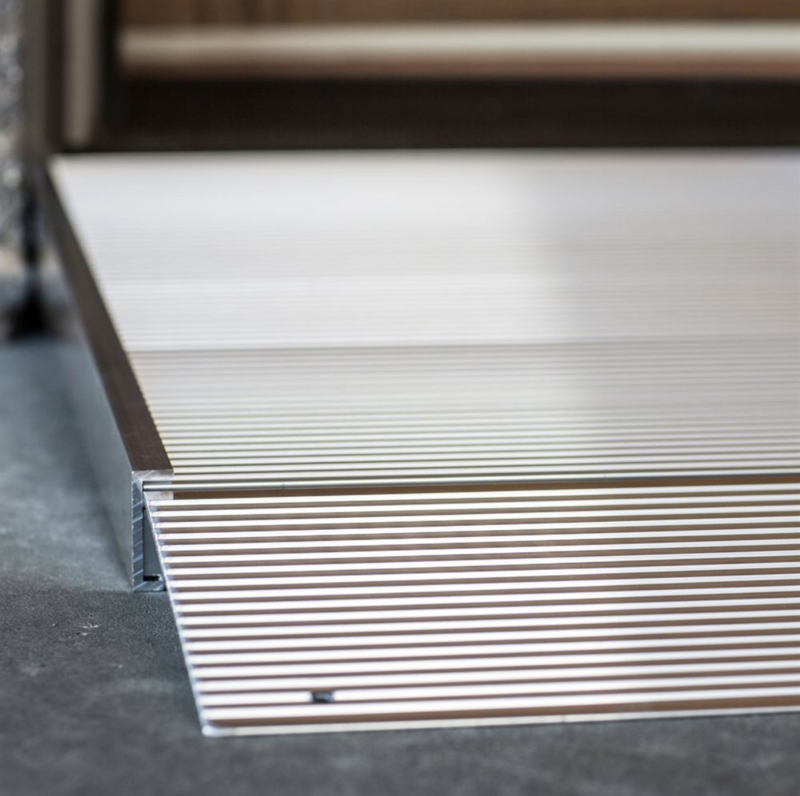 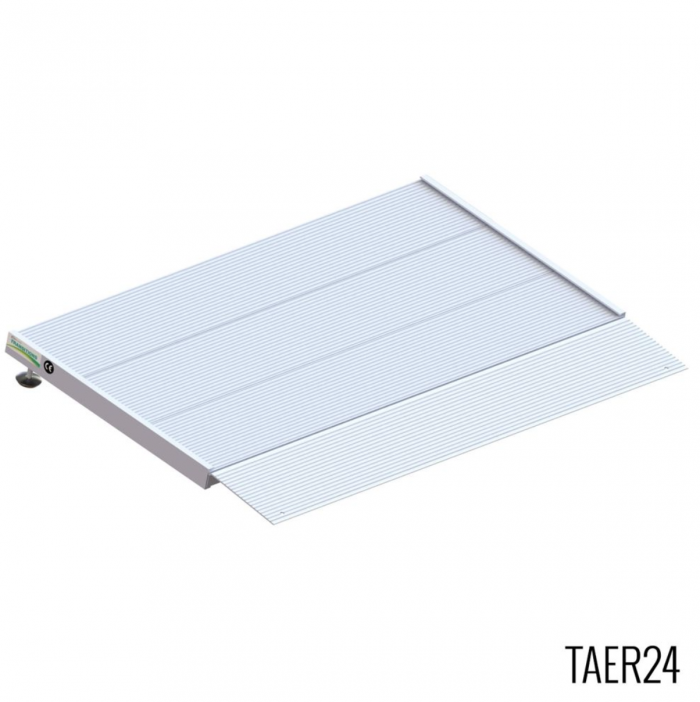 This self-supporting aluminum threshold ramp is ideal for doorways that swing in and out, uneven surfaces, or single step rises. 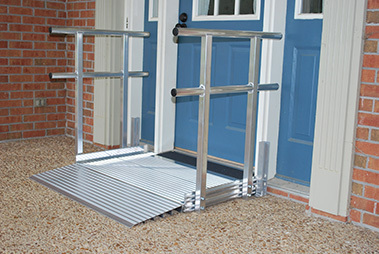 EZ-ACCESS knows that a gentle slope can make a world of difference. TRANSITIONS threshold solutions allow for a smooth ground-to-sill transition over doorway thresholds throughout your home. 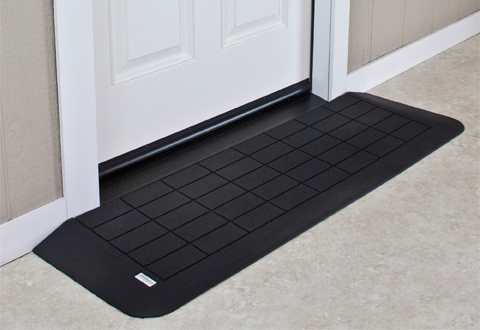 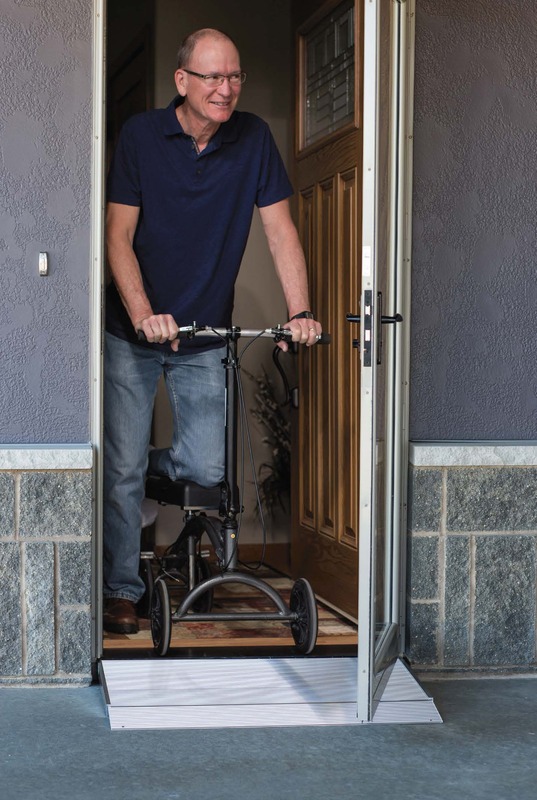 Reduce preventable trip hazards and make your home more comfortable and safe for mobility users. 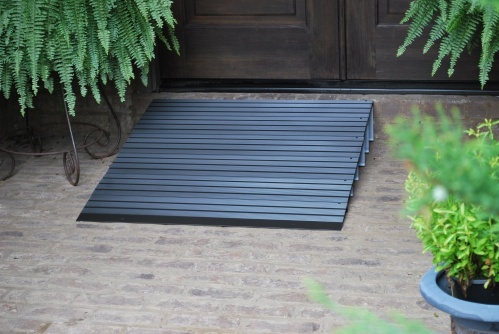 Height (Ramp Only) 1.362” 1.669" 3.282"
Usable Height Range w/ 2.5" Swivel Feet* N/A 3.178" to 4.361" 3.681" to 5.836"
Weight** 5.15 lbs. 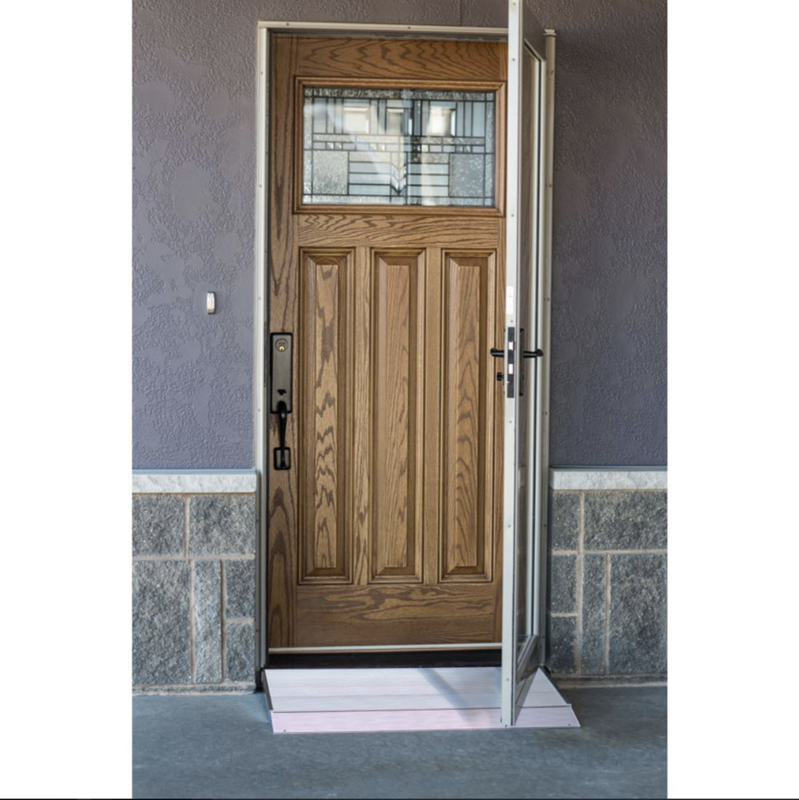 10.4 lbs. 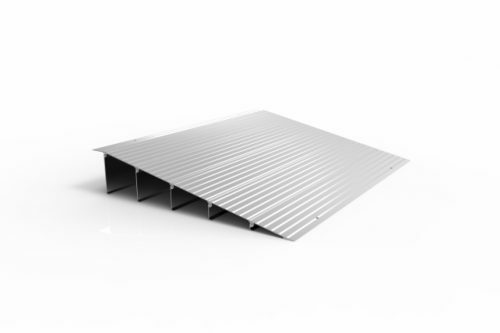 15.15 lbs.